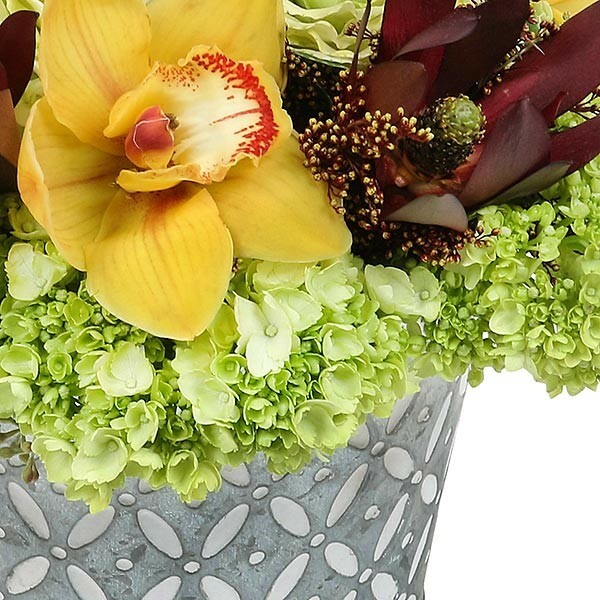 Saratoga is a sculptural arrangement of contrasting colors and shapes. 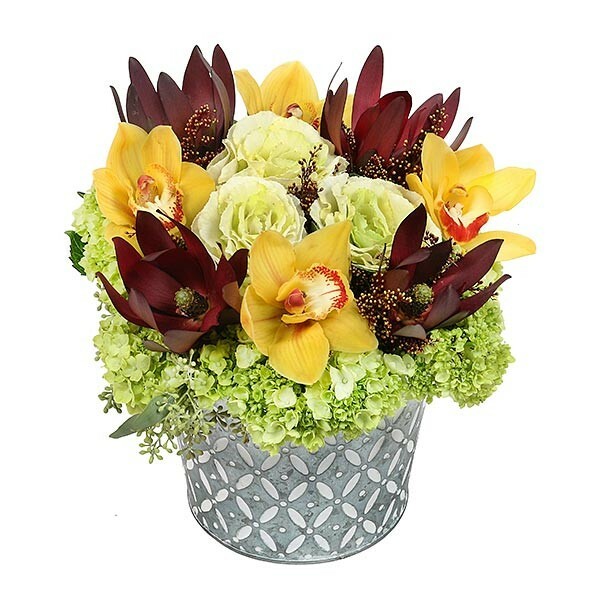 Wine-colored leucadendron sit atop cybidium orchid flowers, white brassicas, and mini green hydrangeas. 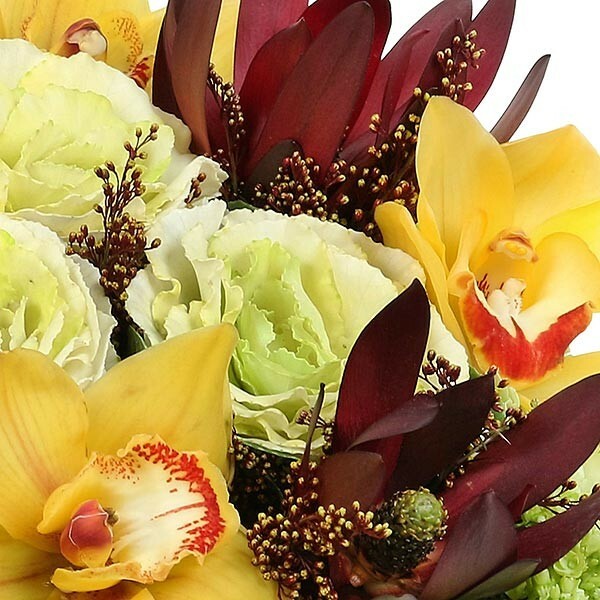 Hand flower delivery in NYC, 7 days a week. Free delivery all over Manhattan for orders over 100$.